An ECOBOARD is a high-performance sustainable board. ECOBOARDS have the qualities we’ve come to expect from modern boards, while having reduced environmental and toxic impacts (through the use of more sustainable materials and manufacturing processes). 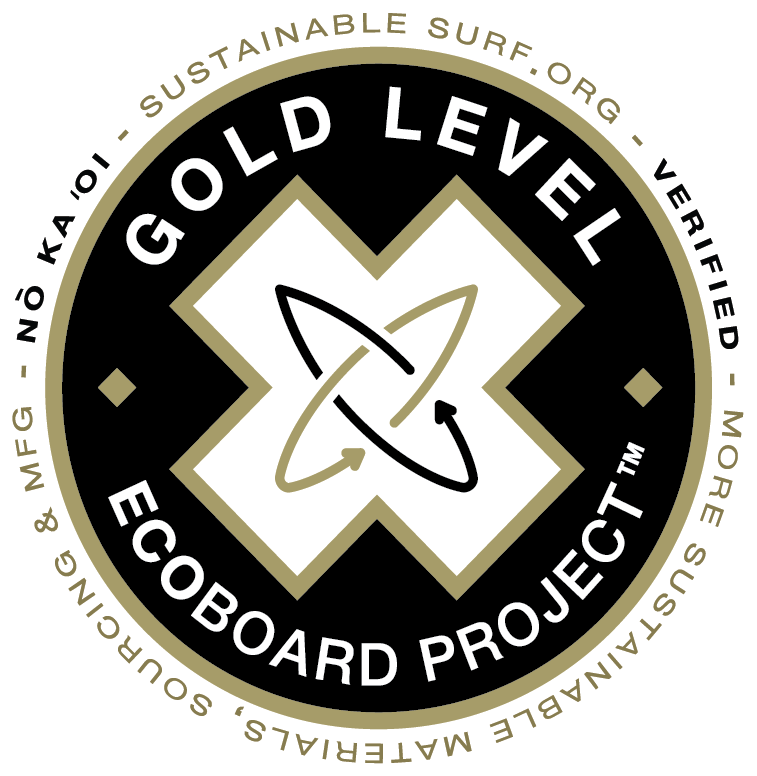 The newest evolution in the ECOBOARD Project, ECOBOARD Gold Level rewards the top sustainable boards and board builders – those with the greatest environmental impact reduction. 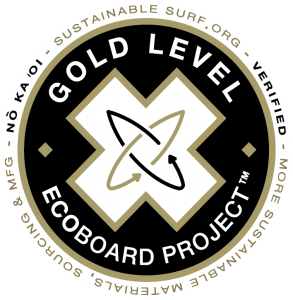 Informed by Sustainable Surf’s ECOBOARD lifecycle assessment, boards carrying this label are using more sustainable materials, sourced from responsible supply chains, and made by board builders with improved manufacturing processes.